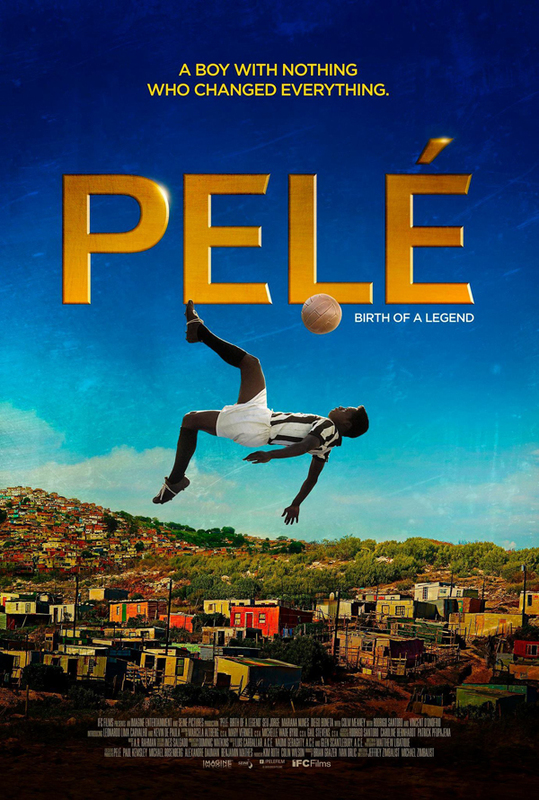 On Friday evening, my wife and I saw the movie “Pele – Birth of a Legend” at Neptune Theatre, which we enjoyed; in spite of the critics’ poor ratings. We admit our bias given that we were growing up while this legend’s star was rising. Additionally, we were entranced by the cinematographer – a Spike Lee collaborator – who filmed it entirely in Brazil, and was able to capture the beauty found even in the poverty of that developing nation. This movie offers a platform to reflect on aspects of Bermuda, as it surfaces the implications of the dimensions of race and class in the home of Samba. With another murder on our island this past weekend, the film provides a frame on whether residents of the Rock seek to declare personal independence. Do we follow our inner guidance, or go with the crowd? It was in deepest poverty that Edson Arantes dos Nacimento was born in that large and diverse country. His parents named him after Thomas Edison; perhaps seeing the ‘light’ in their first-born. While his father – a former semi pro footballer –worked as a janitor and his mother was a housemaid, the young son hustled, shining shoes to supplement family income after school. However, Edson’s passion and preoccupation was to enjoy playing football around his neighbourhood with his diverse group of friends. The film’s narrative highlights the fact that it was from his African heritage – which had been marginalized in Brazil -that the unique approach to football was rooted – a form called Ginga. It parallels the popular Brazilian martial art called Capoira. Encouraged by his father, it was this free-form of football that Edson took to youth tournaments. It attracted football scouts to this ‘phenom’, who by then had picked up the nick-name ‘Pele’. However, when recruited as a 15 yr-old to the club ‘Santos’, the coaches and team-mates pressured him, attempting to re-shape his game to reflect the classic European approach. It was this test to overcome the norm of simply ‘going with the crowd’ that young Pele faced. His foundation of a healthy sense of self, provided by his parents – notwithstanding their limited means – served him well. After much challenge he was able to declare his personal independence and manifest his authenticity with support from a mentor. Based on his phenomenal development this 17-year-old was picked for the Brazilian National Squad for the Finals of the 1958 World Cup in Sweden. The movie captures how Pele not only stayed true to being the author of his own life, but the youngster motivates his team mates who are much older and more experienced, to find their ‘voice’. The result of course is much better than fiction when Pele – with an injured leg – plays in the semi-final against France and scores a hat-trick and then goes on to score two goals in the Finals against the home-team, Sweden, in Brazil’s 5-2 victory. If parents decide to take their children to the movie, they can reflect with them on a number of lessons offered – not just about football. The first one is having children appreciating themselves, totally, recognizing that we are all – including us parents – ‘works in progress’. Another is that adopting authenticity allows one to appreciate all others; regardless. However, with that appreciation of others, it is key to maintain a sense of personal independence – avoiding ‘just going with the crowd’. I think that this reflective approach offers each of us the template that made Pele the legend that he is. With that type of approach we will less likely have the tragic events of this past weekend, and our island community will not only survive, but thrive. Congratulations to you, Mr. Fubler. Extraordinarily well stated. I could say more about parents instilling pride and individualism. even the two party crowd, for this island community to hope to thrive. Congratulations to you, Mr. Fubler. Wisely you cautined both youths and adults from ‘just going with the crowd.’, even the 2 party crowd, for this island community to hope to thrive.. I’ll be learning lessons from the movie, despite critics.